The majority of organizations from varied industries have begun adopting the BYOD (Bring Your Own Device) trend; the same is noticed in the education sector too. The collaborative learning process has proved to scale up the knowledge base of students. Mobile devices increase real time engagement among students thereby leading to promoting and sharing educational ideas. BYOD helps in the development of seamless communication for content sharing with the use of audio/video lectures, assignments, test papers, etc. As the BYOD trend states, "Bring your own device": This eliminates the cost for purchasing computing/mobile devices for students to operate on in the classroom. Students are asked to carry their own mobile device just as they carry a pen and pencil in their bag. BYOD helps schools and colleges to free themselves from hefty investments in hardware devices along with other educational materials like books, paper, etc. Also, the maintenance of the device falls purely under the responsibility of the student. Students have full access to their devices and, with the availability of free WiFi internet connectivity, they can download and share the study material of their choice. Teachers and students can share assignments and notes through mobile apps that are free to download, such as Google Docs, Evernote, etc. Students can freely access this data anytime, outside the classroom, despite their geographical location. Students get deeply engaged with their mobile devices outside the classroom, e.g. playing games. In such cases, BYOD is meant to leverage the advantage of the leisure time spend after academic hours. 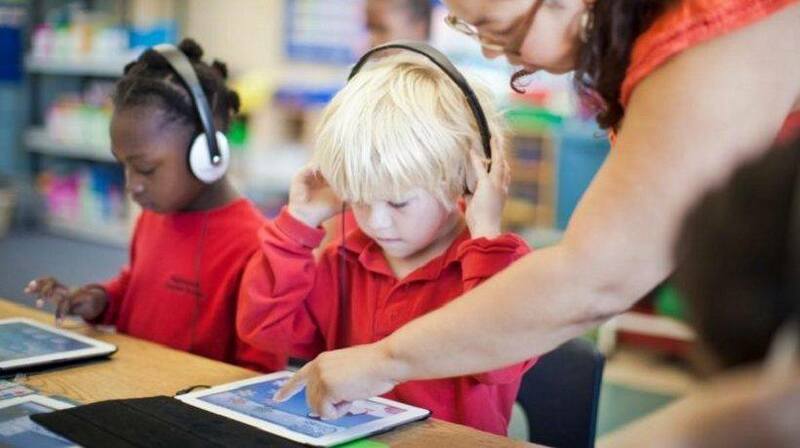 Mobile devices can be converted into a learning tool, through the utilization of educational apps. Students can also have access to educational material offered by professionals located in different places of the globe, which can help them increase their knowledge base at the tip of their finger. Providing internet connectivity to mobile devices of students helps them access unlimited information on various subjects. This helps them build their knowledge base at a substantial limit. There are many considerations to be kept in mind while purchasing a mobile device or laptop for BYOD use. Devices' batteries need to have high storage capacity to ensure prolonged use during teaching/learning time, thereby eliminating the need for frequent battery recharge. Also, peripheral devices like mouses and keyboards should be wireless to function and their overall weight should be minimum, for the child to carry them around easily. In addition, powerful CPU and excessive primary RAM ensure high performance delivery. Large secondary storage (hard disk) facilitates students to save a large amount of eBooks and other reading materials. All installed software applications should be licensed. The overall learning experience in the classroom can be altogether enhanced through the implementation of a BYOD program. Placing an internet-enabled device in the hands of each child helps them escalate their productivity and information-fetching skills. To gain the significant benefits of BYOD, it becomes mandatory to spread awareness among students, teachers, and parents.